APRIL FOOLS! IT’S ON SUNDAY MARCH 31 SATURDAY APRIL 20 THIS YEAR! You’ll get some activity in before the real April Fools Day this year, which is a Monday this year. It is ABSOLUTELY FREE! This event costs you $0. However, please register in advance so we know how many treats to get. It’s not super early in the morning! Roll-out is at 10am, but please arrive at Latitude 45 beforehand. There are 2 distances to choose from! The 45 mile route is the same as last year two years ago! It was so well liked, I just couldn’t change things. The 25 mile route is brand new! Both routes ride together down River Rd! The 25 mile route is 100% on pavement for those of you preferring road bikes. Want some gravel? Ride the 45 mile. The 45 mile has 20 miles of gravel! De Strontberg. The true killer on the 45 mile route. A true test of mettle. Don’t have much mettle? You can take the Seven Hills as a cop out. But you shouldn’t. Started the 45 mile but can’t go the distance? There are plenty of opportunities to shorten the ride and head back to the shop. All riders will be provided with maps and a cue sheet. Both routes will (hopefully) be marked! Look for arrows of whatever color is designated at the start of the ride. There is a 100% chance that at least one other person of similar ability will be there for you to ride with. Ride at your own pace! There’s no cutoff time, but this ride shouldn’t take anyone more than 4 hours at the absolute longest. 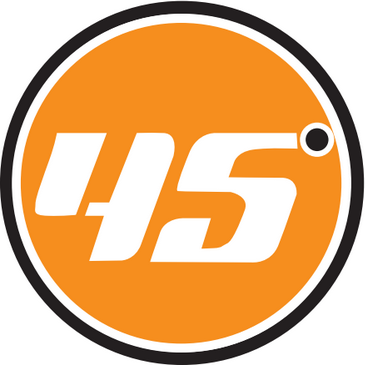 Latitude 45 is open both before (to event participants) and after the ride to assist you with last minute repairs, adjustments, nutrition, and condition specific apparel. Need a bike? Or even something better than what you’ve got? We have rentals available at discounted rates for the event. Did I mention the 45 mile is a fake race?? There will be a prize for the fastest male and female finisher of the 45 mile route! Take the win and put it in your palmares forever. You have to follow the route 100% though, and we’ll check Strava. We’ll also do a “podium” for the top 3 men and women! “What about the prizes for the 25 milers?” See #21. The 25 mile is a great warm-up and bellweather for events like Michigan Mountain Mayhem or Zoo De Mack! The 45 mile is a great warm-up and bellweather for events like the Lowell 50, Barry-Roubaix, or mountain bike season! Latitude 45/Twisted Stone team members get 4 team points! Not on our team but interested in joining? This event is a great opportunity to meet almost everyone that’s on the team and join us! Never attempted a ride of either distance? This is a great event to conquer either goal! Look at these smiling faces! This could be you!